Switch 1 of your opponent’s Benched Pokémon with their Active Pokémon. This attack does 30 damage to the new Active Pokémon. 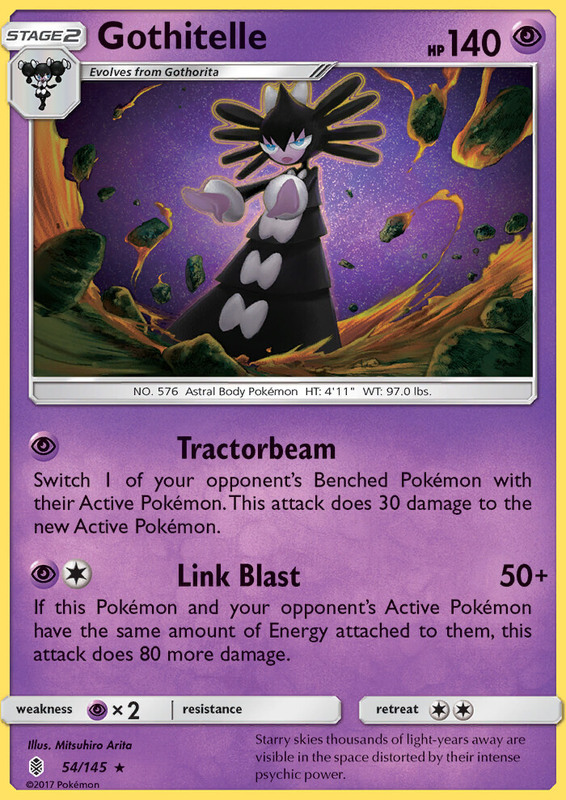 If this Pokémon and your opponent’s Active Pokémon have the same amount of Energy attached to them, this attack does 80 more damage.